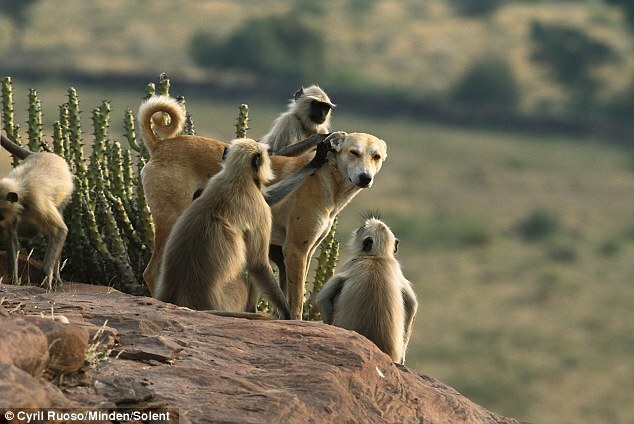 This wild dog enjoyed extra special treatment when a group of monkeys included it in their pampering session. 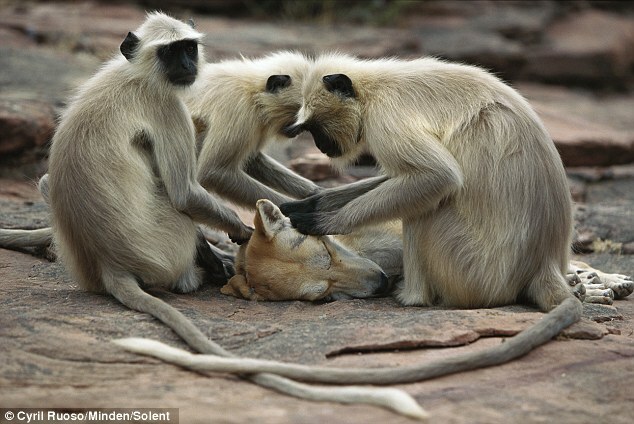 The pampered dog lay down to make itself more comfortable as the grey langur monkeys fussed around it and stroked its fur in Rajasthan, India. 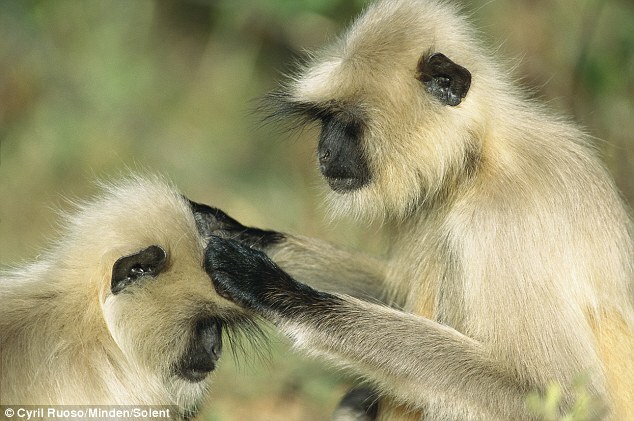 After treating the dog to a head massage, the monkeys set about grooming one another. 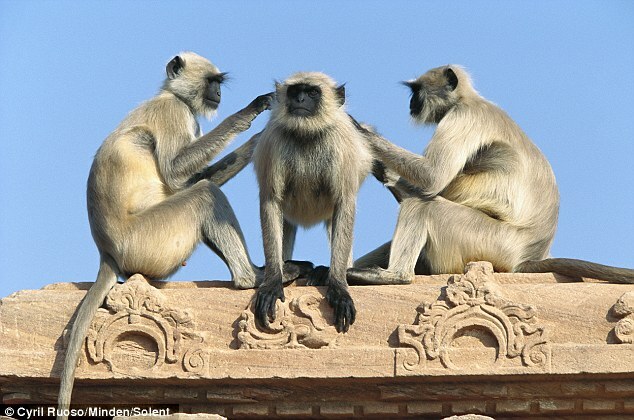 The unique moment was captured by wildlife photographer Cyril Ruoso, from Lailly in France, who had been observing the monkeys. 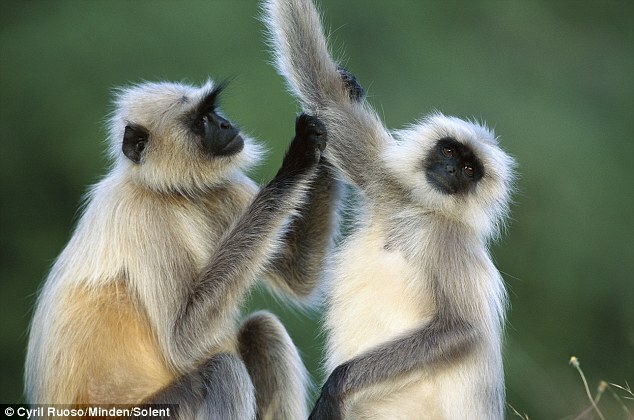 'I was following a gray langur troop and they came across a wild dog,' the 42-year-old said. 'The dog decided to make itself more comfortable by resting on the floor and the monkeys continued to stroke it,' he said. 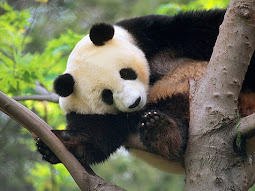 Mr Ruoso, a keen observer of monkeys and apes, said it was the first time he had witnessed a scene like it. 'When I take photographs I like to be surprised by what I've seen,' he said.